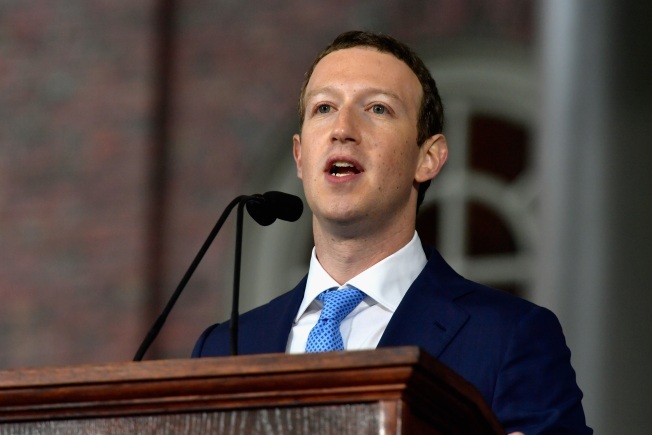 Facebook founder Mark Zuckerberg's long-term plan for the drone, called Aquila, is to have it and others provide internet access to 4 billion people around the world who are currently in the dark. "When Aquila is ready, it will be a fleet of solar-powered planes that will beam internet connectivity across the world," he wrote Thursday on Facebook. The drone's second flight was completed in May at Yuma Proving Ground, The Yuma Sun reported. The drone flew with more sensors, new spoilers and a horizontal propeller stopping system to help it better land after the crash in December. It was in the air for an hour and 46 minutes and elevated 3,000 feet (910 meters). The drone flew with the engineering team watching a live stream from a helicopter chasing the drone, said Martin Luis Gomez, Facebook's director of aeronautical platforms. The team was thrilled with the outcome, Gomez said. "The improvements we implemented based on Aquila's performance during its first test flight made a significant difference in this flight," he said. The drone weighs about 1,000 pounds (450 kilograms) and has a longer wingspan than a Boeing 747. The drone runs mostly on autopilot, but there are manned ground crews to manage certain maneuvers. "We successfully gathered a lot of data to help us optimize Aquila's efficiency," Zuckerberg said. "No one has ever built an unmanned airplane that will fly for months at a time, so we need to tune every detail to get this right."